Unless you’d been living under a rock, most likely you’re familiar with Azure Residences. For a long time, its marketing billboard featuring hotel heiress Paris Hilton has graced the length of EDSA, promising luxury in the middle of the city. 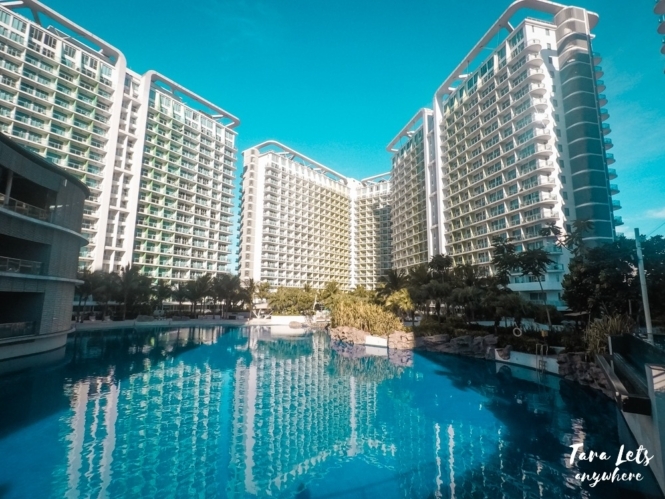 Here’s my experience and review about Azure Urban Resort Residences! 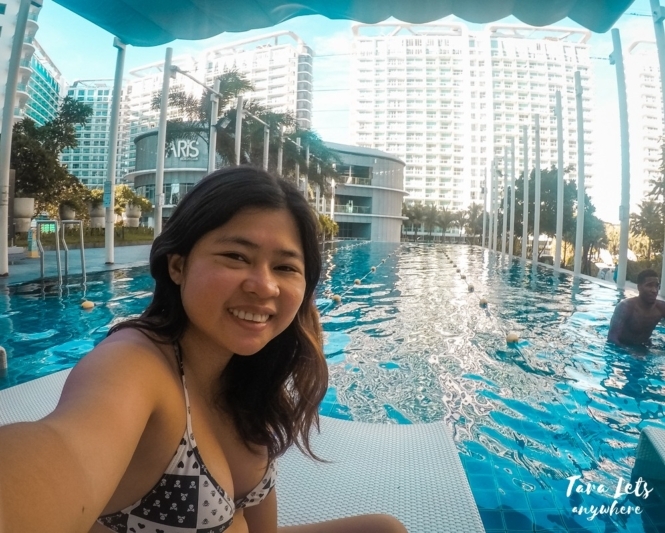 My friend Queenie happens to manage one unit in Azure Urban Resort Residences haven in Paranaque City, and she invited me for a staycation on a weekday. Hali as usual was quite busy and couldn’t come with me so I went here solo. 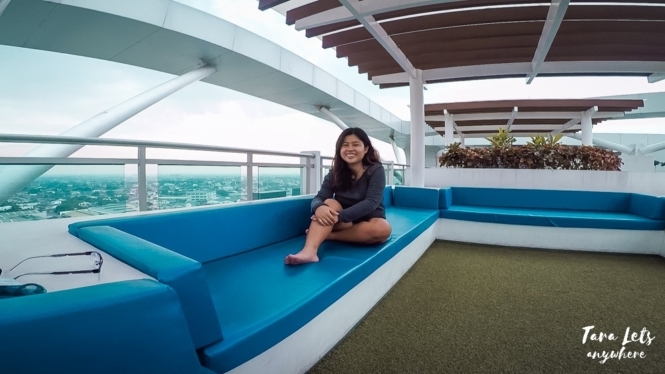 Here’s a little bit more about my short staycation in Azure Urban Resort Residences. I’ll try to be as honest as possible about my experience in Azure. From its billboards and overall marketing, as well as blog reviews written about it, I was expecting an exclusive-vibe high-rise residence. 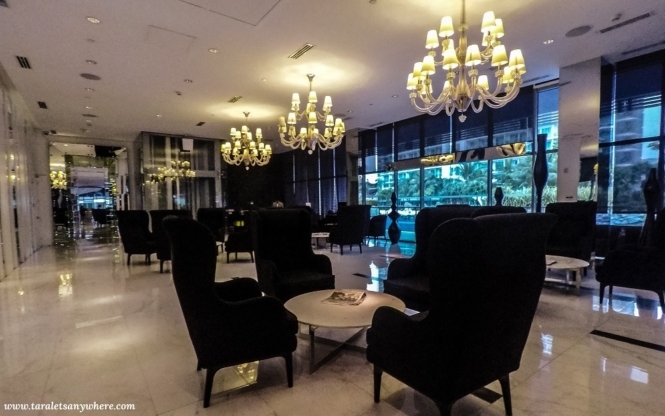 Afterall, Azure is also called the Paris Beach Hotel. When I stepped foot inside the condo area, it’s clear that its image is a little misguided. There’s nothing fancy about Azure Urban Resort Residences, to be honest. I have seen better condominiums, especially in Makati. My friend Queenie and I both agree that it’s best for vacationers on a budget. I learned that, in actual bookings, it’s popular among those who are holding high school reunions, team outings or even small family gatherings or celebrations (birthdays and celebrations) and not people who are after a luxurious stay. Looking on the positive side, perhaps the best draw of Azure Urban Resort Residences is its affordable rates and convenient location. First of all, here you can easily rent a 1-bedroom unit overnight for P2000-2500 or a 2-bedroom unit for P3500-4000. If you want a staycation in the heart of Manila on a budget, this is a good option. Second, it’s accessible. It’s literally a 5-minute walk from SM Bicutan. 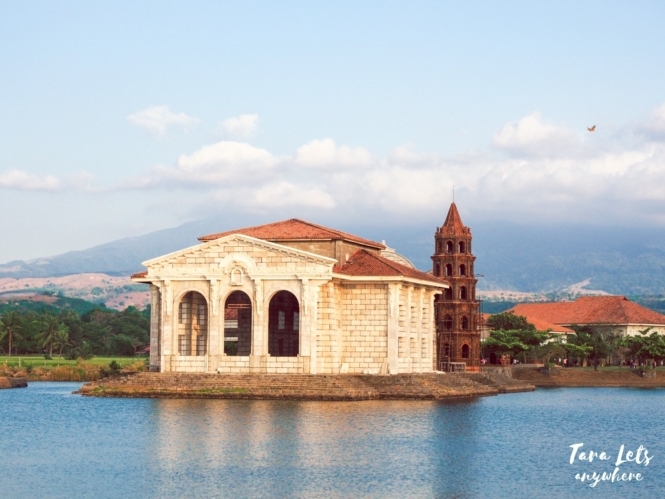 This is a plus point for those who don’t have time to go outside of Manila to relax. Anyway, so you can have a better feel of it, let me give you a short tour of the amenities in Azure Urban Resort Residences. Welcome to Azure Urban Resort Residences. Azure Urban Resort Residences has several towers. A lot of the rooms in these buildings are for rent — I know for a fact that condo agents sell the units to people who’d like to rent them out for income. Each room offers either a city view or a pool view. The beach pool is its most popular swimming area since it has real sand and I was actually looking forward to it. I was a bit sad to discover that the water is up to ankle-length only and it’s meant for kids. That saying, I did enjoy the lap pool the best. The water temperature was just right, and it was invigorating to perform some laps especially in the morning. I also appreciate the fact that the water is 4 feet only, since you can tell I’m short. A close-up look of the man-made beach. Enjoying a morning swim in the lap pool. Playground and the kids’ pool. 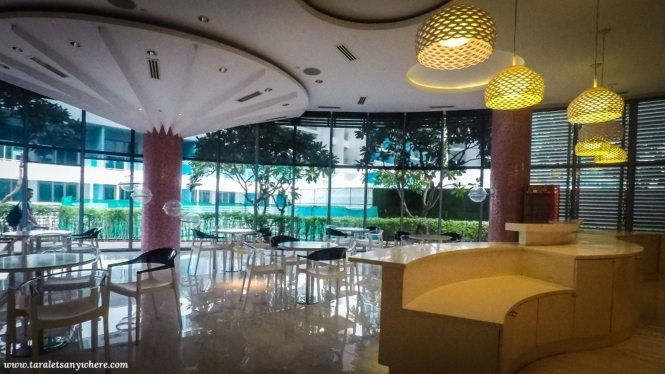 So, moving on… Azure Urban Resort Residences also has a complete range of amenities — a cafe and restaurant, playroom for kids, gym room, game room and movie lounge with new titles (it already has Wonder Woman, which was recently released during my visit). All of these are accessible to guests as well. I don’t really have a need for any of these except perhaps the movie lounge, but it’s nice to know that these are available when needed. 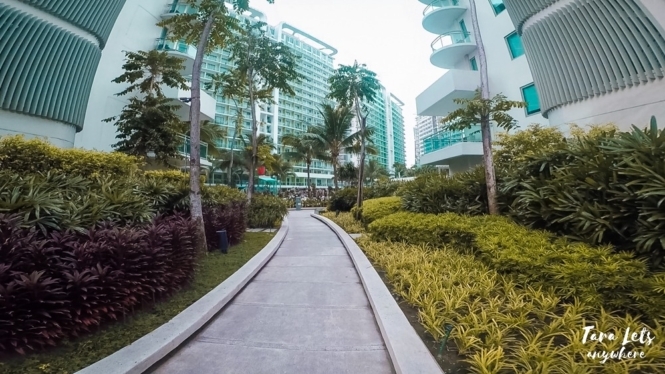 If it’s your first time to visit Azure Urban Resort Residences, make sure your host gives you a tour of these amenities. Lastly, there are the rooftops! The rooftops have great city views. They’re quiet and peaceful. I think it’s perfect to stay in one of the rooftops with all the city lights, just drinking beer. The rooftops are open until 10PM. The rooftops have a lovely view. I don’t have photos of my room, but here’s what I can tell you. Each unit is different, depending on how the owner designed it. The one that Queenie rented out is a 2-bedroom unit with a hint of Arabian aesthetics, but minimally designed for the most part. Other units I’ve seen are more stylishly decorated. 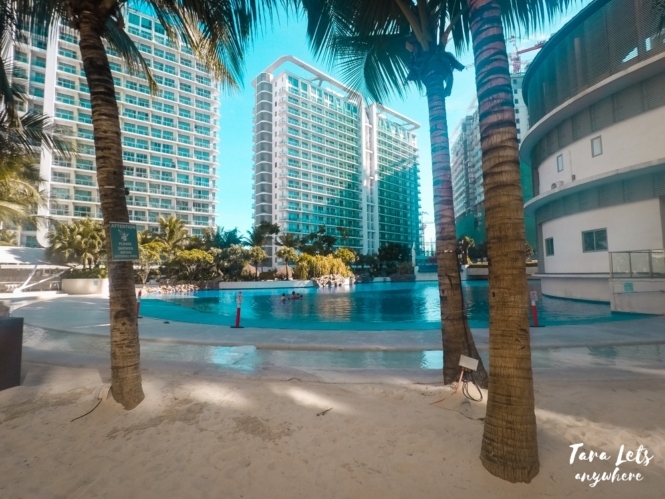 As said above, Azure Urban Resort Residences is a good option if you want an affordable and nearby staycation in the city. I think that as long as you level your expectations, you’ll enjoy your stay here. If you’re looking for other things to do around Azure, you can drive over to Dona Soledad, which is one of my favorite streets for food tripping and massage pampering. 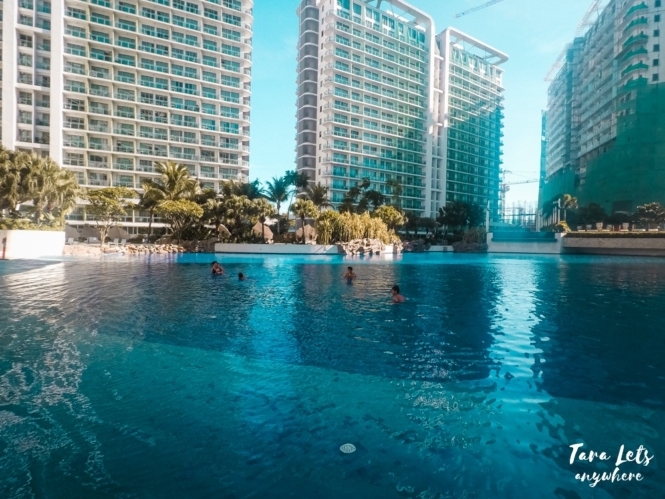 Azure Urban Resort Residences is a 5-10 minute walk from SM Bicutan. Each room is decorated differently according to the owner’s taste, although most have similar price range. Depending on the terms and conditions of the unit owner, you may need to bring your own towels as well as toiletries. It’s best to bring your own food or get a delivery; the restaurant’s meals are quite expensive. Update: Buffet is now available for P300 per person. Parking is available. Rate is P50 for the first 3 hours and P10 for every succeeding hour. It’s best to book during weekdays to avoid the crowd. You can book units in Azure Urban Resort Residences through Facebook or Airbnb. If you’re not registered in Airbnb yet, you can do so using this referral link and get an initial P1100 credit for your account. Unfortunately, my friend’s unit is no longer available for rent so I can no longer link to that here. 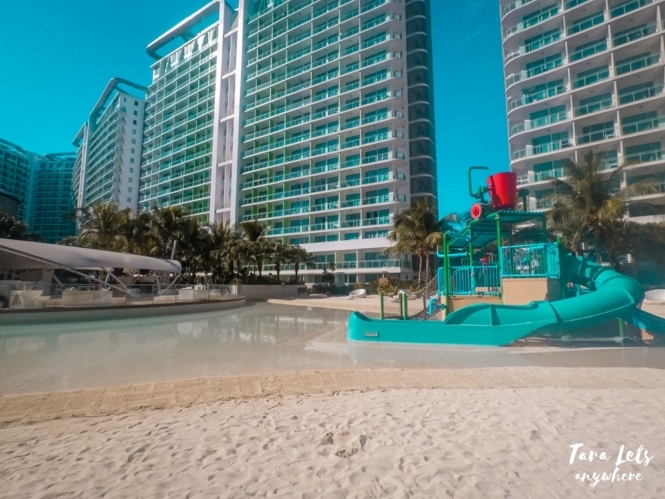 Have you stayed in Azure Urban Resort Residences? Let us know your review! Staying there for a week at this time. this is a prison. You can only enter one gate and have to leave your passport to the reception at all times. cannot any extra guest or visitors in. have to register everything you enter your building. It’s cheap but I feel bad they turned the place into a prison just due to stupid employees. Hello miss Katherine.do you have contact person at Azure?we are planning to book on April 28. Hi I just booked for a staycation 2 weeks from now..are all the amenities available during my stay? Including the beach resort? do i need to contact the number posted/ cservice to know if i do have an access on all their amenities?.. i was too worried i might be missing something.. you’re a big help! thanks! If you want to be sure, yes you should contact the person with whom you booked the room from. Usually the inclusions are also mentioned in the room ad. I am a person who’s very patient and easy to befriend with. I recently purchase a house and lot and now under renovation. That is why I decided to rent a place to stay with my 3yo son. I chose Azure since it’s a Century Property owned. And I have cousins who works for the company and also owns a property with other century condos. However on my 2nd month stay here in Azure, I notice that staff here especially guards are very RUDE, NOT WILLING TO HELP, argues with guests, cursing at guests and threatens guests. I did complain the experience I had at the customer service, but it seems that they did not do anything about it. I really do hope that somebody from the company would willingly talk to me since now I do not feel safe staying here. I will not stop sending negative reactions and will also find a way how I can reach out with people and tell them how bad it is to stay here in Azure. Will wait for your response. Hi Rashan, that’s sad to hear. Hope the management gets back to you properly with regards to your concern.